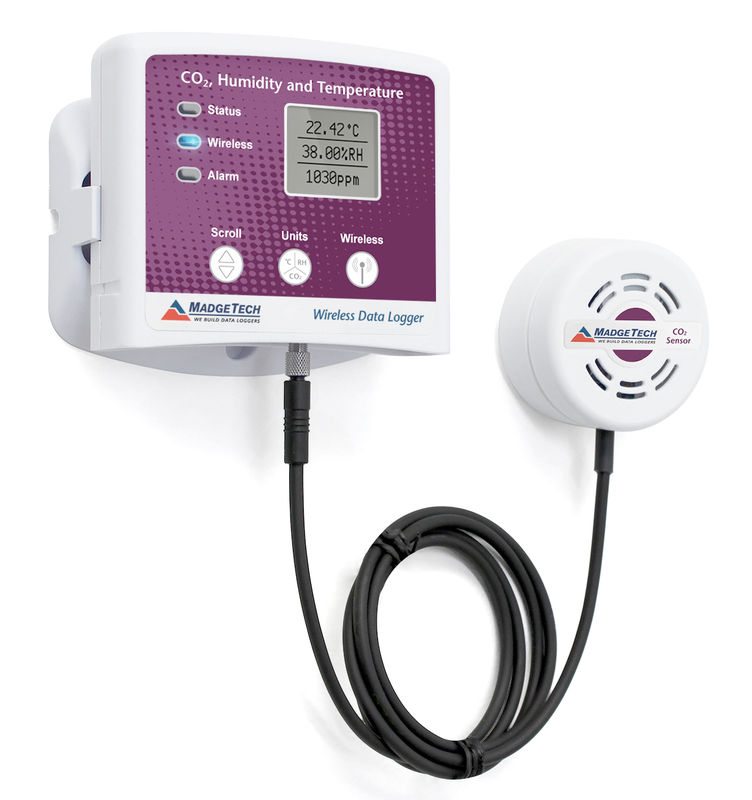 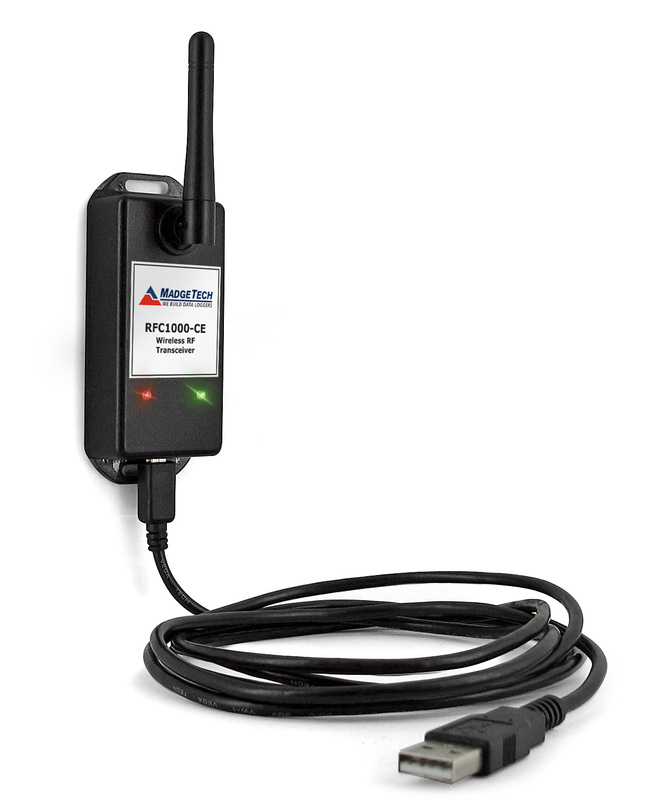 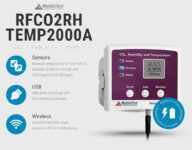 The RFCo2RHTemp2000A is a compact data logger supplied with remote Co2 – Carbon Dioxide, humidity and temperature sensors, capable of recording and displaying sampled data. 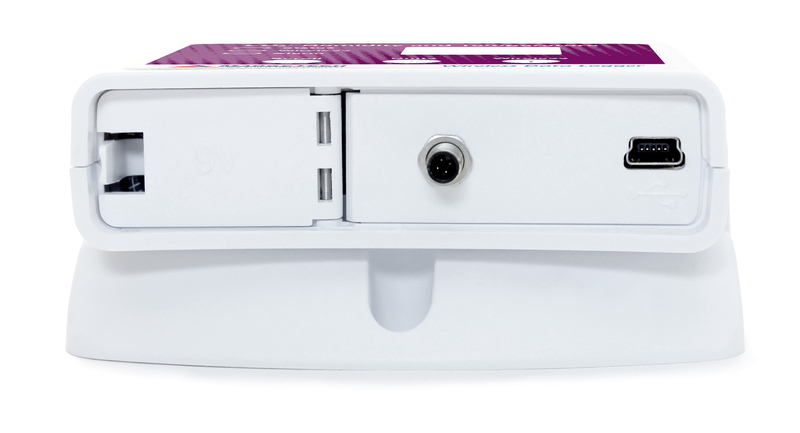 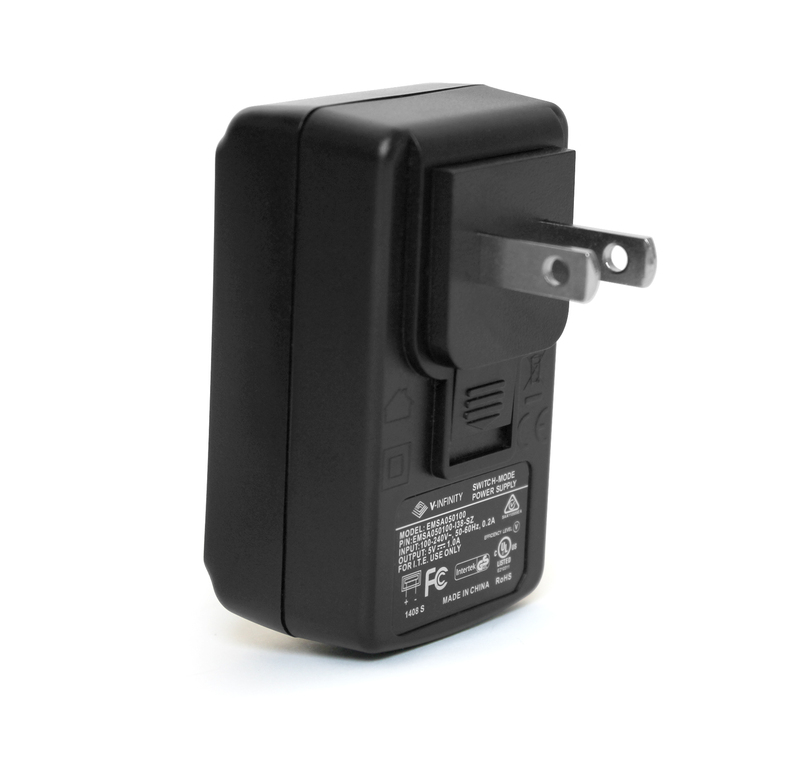 it is either battery or mains powered so it can be deployed as a handheld, situated on a desk or mounted to a wall using the innovative supplied bracket. 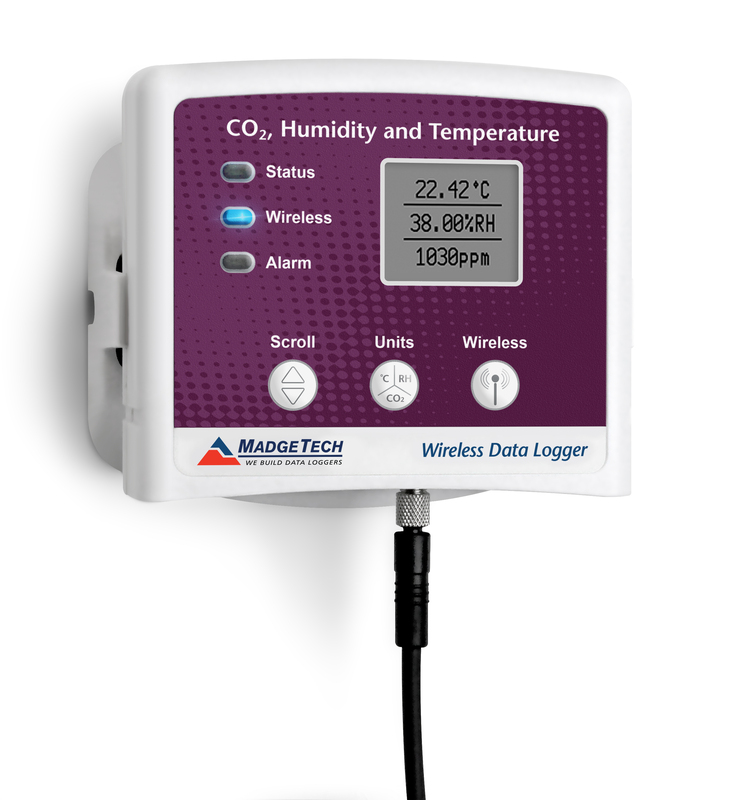 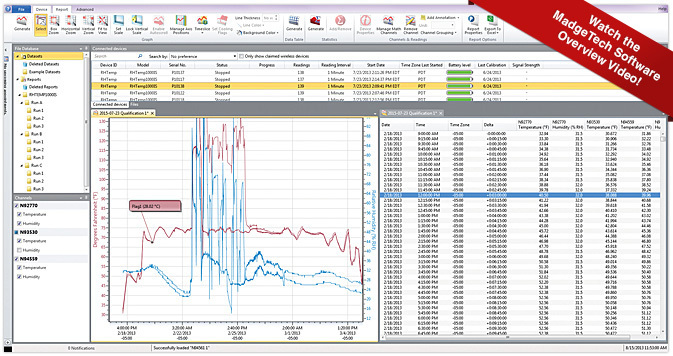 View real-time data on the LCD screen, trigger local audible/visual alarms and connect to a USB computer for periodic analysis. 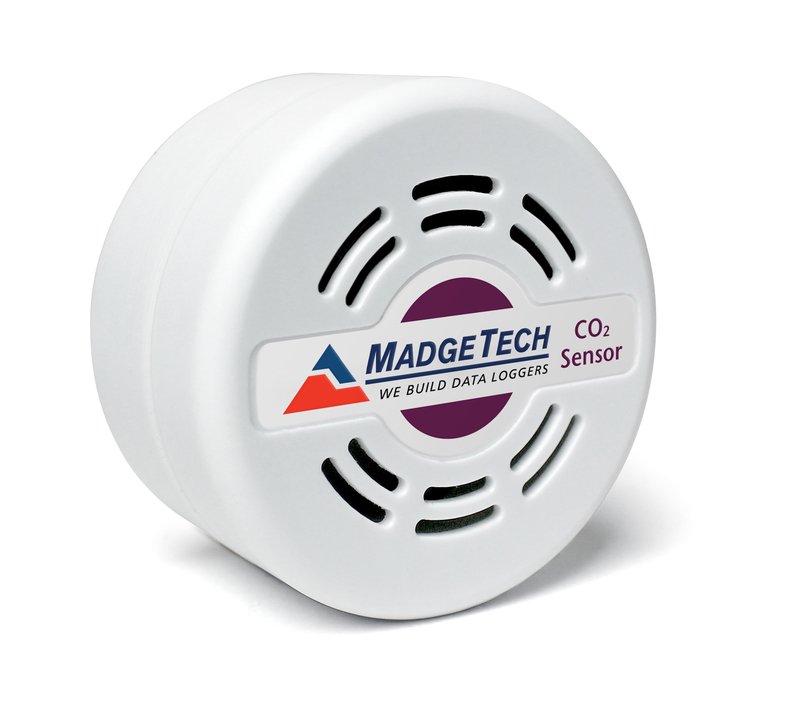 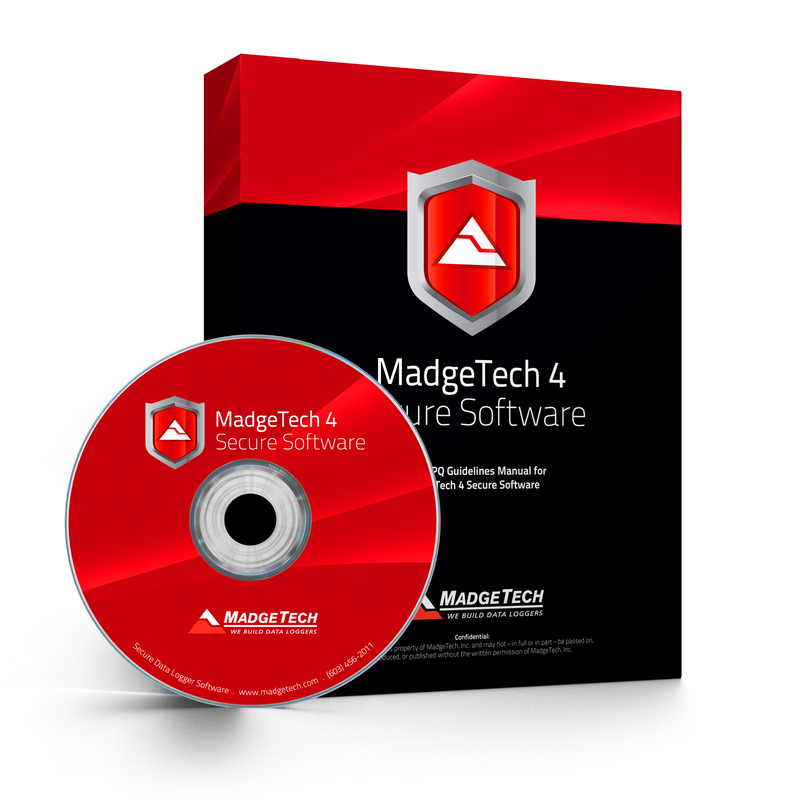 If at a later date you want to link the data loggers up to deliver real-time alarms and data then we need to check signals and recommend the required number of RFC1000 repeaters. 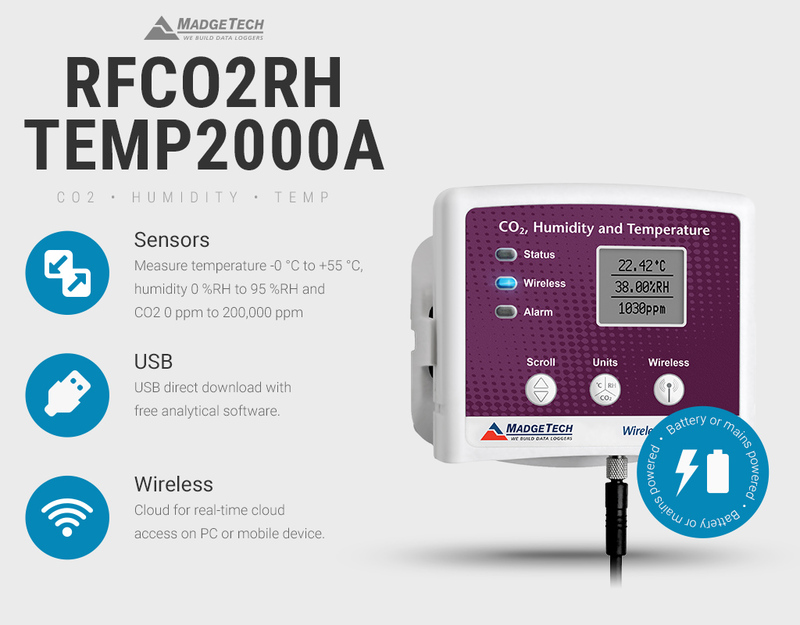 This is a building services solution, designed for measuring and recording working conditions, please contact our sales team if you require either a device for safety or a Co2 incubator solution which are facilitated best with different technologies. 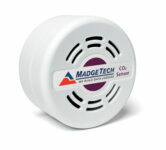  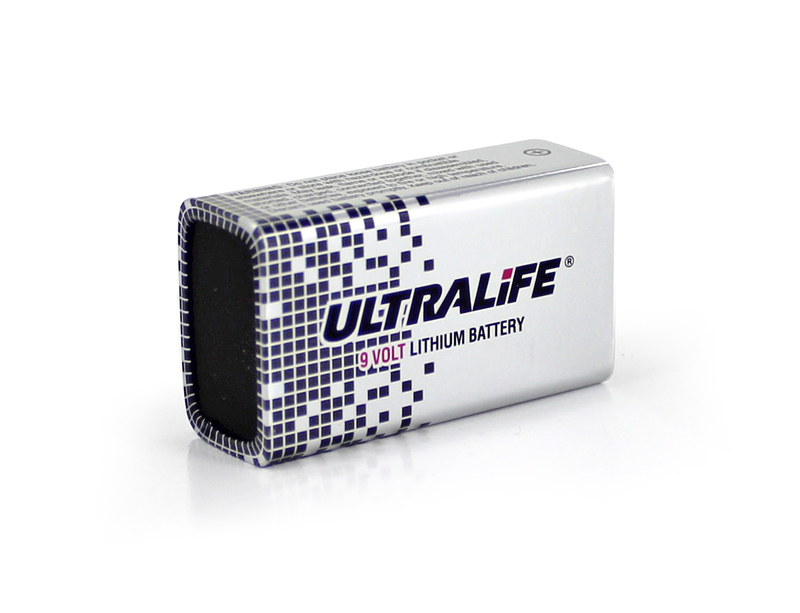 Battery or optional mains power suppVisit Sitely.